The agreement opens up new opportunities of natural stones exports for the European Union. February 1, 2019 is a milestone in EU relations with Japan, after the Economic Partnership Agreement between the two countries entered into force, creating an open trade zone covering more than 600 million people and almost one third of total world GDP. This is the largest trade agreement the EU has reached so far. 99% of custom duties on EU exports to Japan, currently worth about € 1 billion, will be abolished. 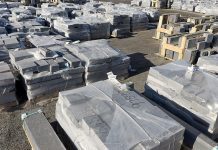 Stonenews.eu, after studying the statistical results* of the International Trade Centre, the UN Comtrade and the National Statistical Institutes, is presenting the finished natural stones imports of Japan from the E.U. (28) from 2014 to 2018. 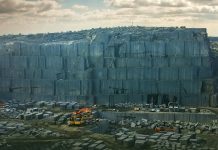 The statistics of the last twenty years show that the Japanese market prefers finished granite products (under HS Code 680293). In the period 2014-2018 imports into the given HS Code correspond to 90% of Japan’s total imports of finished natural stones. An almost exclusive supplier of the 680293 Code products to Japan is China, with shares in value and quantity that reach 98% of the total. Keeping this in mind, Japanese imports from the European Union have historically been at a low level. 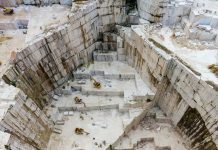 They are limited to finished marble products under HS Code 680291. 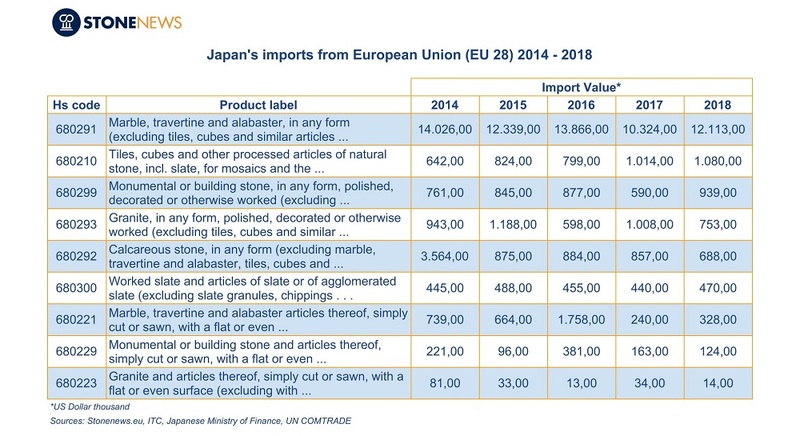 The following table shows Japan’s imports of finished natural stones from the European Union (28) between 2014 and 2018. As shown at the table, between 2014 and 2018 the total value of imports of finished natural stones from the European Union (28) decreased significantly (-22.92%). However, between 2017 and 2018, it had a rise, mainly due to an increase in the value of imports under HS Code 680291 by 17.33%. 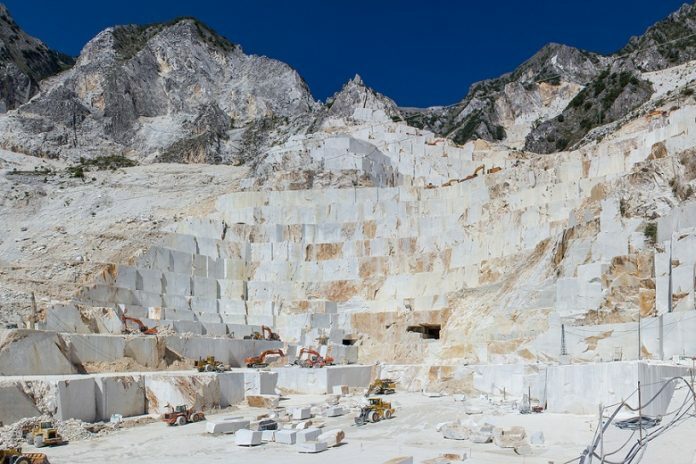 Compared to other supplier countries, Japan’s imports of finished natural stones from the European Union (28) between 2017 and 2018 had a larger rise in value and in price per tonne.